“Love isn’t an act, it’s a whole life.” Brian Moore. Ed fell in love with Jean at first sight. 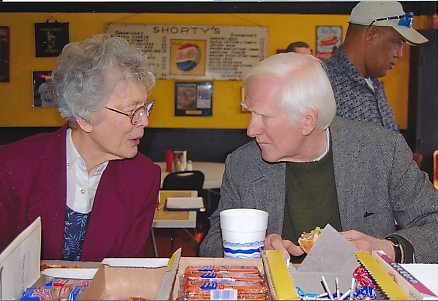 Ed and Jean met over a cup of coffee served by Jean to Ed in the college cafeteria. Jean had a job in the serving line and worked in the salads. One night, she noticed that Ed was waiting for coffee and that there was no one available to serve him. She went over and poured him a cup, handing it to him without a saucer. It was a kind gesture and Ed fell immediately in love with this beautiful coed. He went back to his seat and said to his friend Henry Miller, I’m going to get to know that girl! After ‘meeting,’ Ed and Jean were formally introduced by Wilhelmina Bracey, a mutual friend, and they went on a date. The first date was to a movie on the following Friday. Their second date was to Sunday morning services at the Wake Forest Baptist church. They were sitting on the next-to-last row with a group of Lambda Chi Alpha fraternity brothers on the row behind. When sitting quietly as in church, Ed would often fall asleep, and he did. The frat brothers laughed quietly. Jean, being rather shy and not knowing Ed well, did not feel like nudging him. However, she did get upset with him and was determined to say ‘No” if he asked for another date. Yet, when Ed walked her home, he forgot to ask for another date, so she did not have the chance or the need to say no. This pause gave Jean time to reflect. When she attended Ed’s speech as the president of the Literacy Society for campus chapel the next week, she decided she liked him after all. 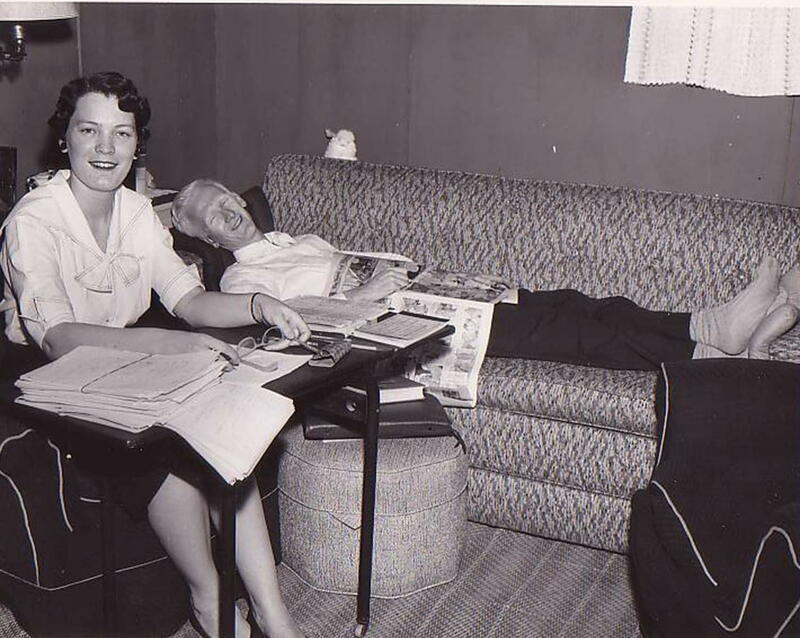 Each morning at 7:30, Ed would go to Jean’s dorm and whistle ‘bob white’ outside her window on the second floor of the dorm. 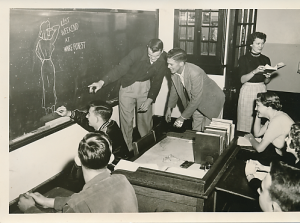 On a trip back to the old campus, Ed points to Jean’s dorm window, where he used to whistle each morning. Photo about 1970. Ed and Jean would also visit on the benches under the mature magnolia trees with low-growing branches. Benches, placed long previously, then provided dating couples a place to be alone. If the bench was taken when another couple approached, a simple cough was enough to say “occupied.” Jean also learned to nudge Ed when he fell asleep in church. 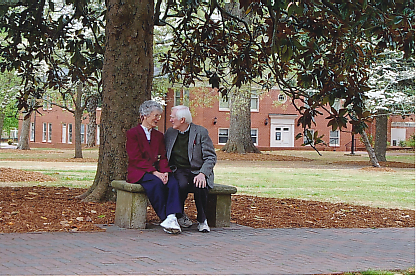 Ed and Jean remember their courting days on a bench at the old campus, in 2007. Photo by Marybeth Wallace. 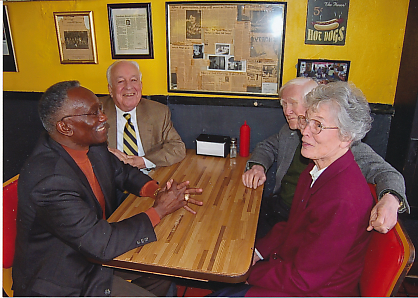 They also went on dates to Shorty’s Famous Hot Dogs, which is still a favorite in Wake Forest. Ed and Jean with Herman Eure and Ed Wilson at Shorty’s, on the 2007 pilgrimage to the old campus. Photo by Marybeth Wallace. 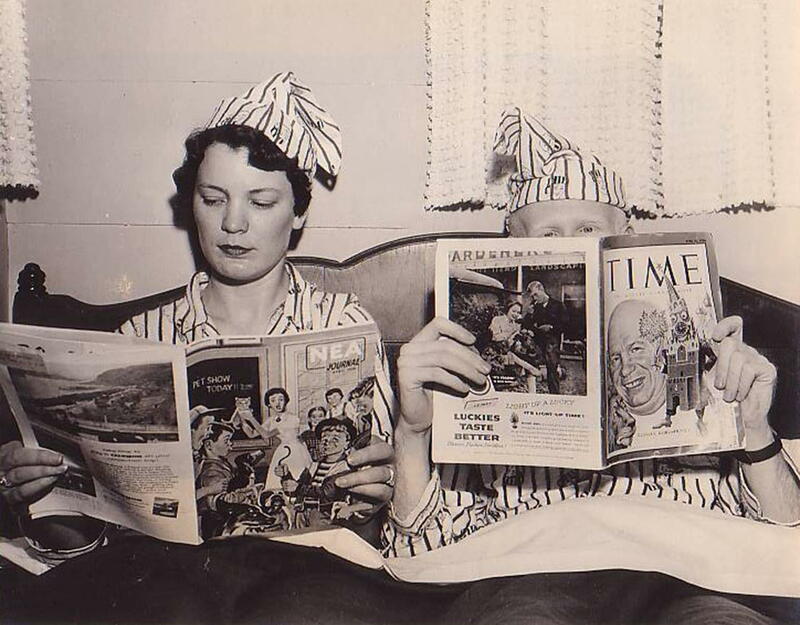 Ed and Jean dated rather frequently, and Jean’s friends wondered if she was becoming serious. Jean was emphatic: “I am not planning to marry him. I am just having a good time!” But by Christmas 1949, when Jean went home to Kentucky, she already knew she was going to marry Ed. On August 4, 1950, under one of the campus magnolias, Ed gave Jean his Lambda Chi Alpha fraternity pin. The first person Jean told was Dean Lois Johnson, about two weeks later. 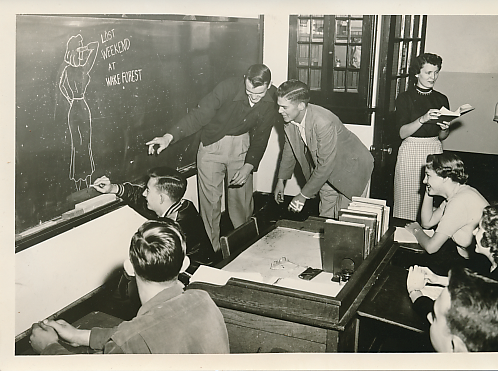 Ed had graduated in 1950, doing his course work in three years. 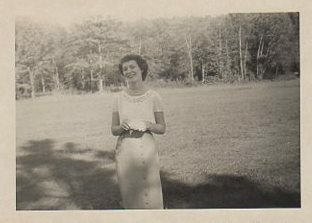 Jean graduated in 1951. 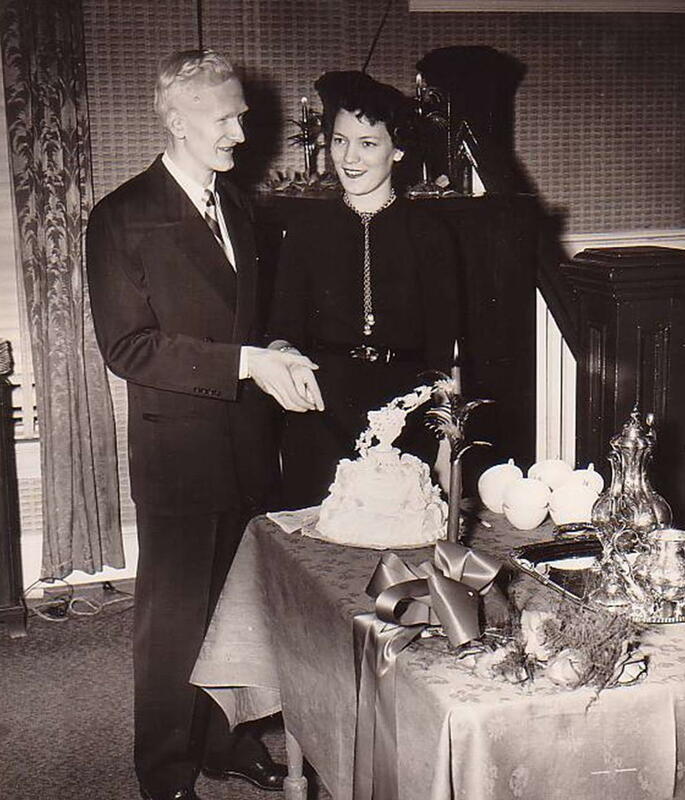 On August 26, 1951, Ed gave Jean a diamond ring and asked her to marry him. She said yes. That fall, she taught Math at Spring Hope High School beginning in the fall of 1951. She later taught at Bunn and Youngsville. Jean was a gifted, popular teacher, and she was also asked to serve as leader for a variety of clubs and activities. She didn’t dare tell the students she was newly engaged! Before Ed and Jean were married, she boarded at Spring Hope and saw Ed only on weekends, hence this reference. Law student Ed and teacher Jean were married on December 23, 1952 at Wake Forest Baptist Church, in Wake Forest, North Carolina, by Pastor J. Glenn Blackburn. Jean’s brother Ronald gave her away, and Racine Brown served as best man. 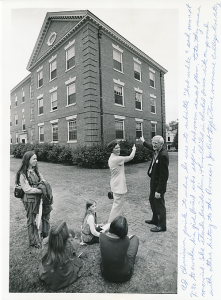 Jean, as well as being a full-time teacher, also became Ed’s chief driver, editor, notes-writer, sounding board, and adviser. Often the straight man in their comedy routine, she was also Ed’s “co-chaplain” in making so much of his work possible. Ed says Jean is the greatest gift in his grace-filled life. 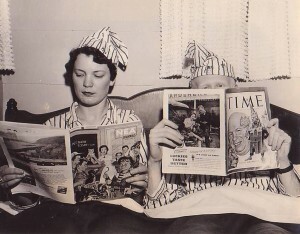 Ed and Jean as newlyweds. Both photos by Iving Grigg. Ed and Jean were well matched intellectually, sharing a breadth of interests including history, art, and current events. All in all, they made a perfect pair, and this loving partnership grounded and supported Ed’s work. The love story continued throughout their whole lives. After 65 years together, Ed and Jean were known as “the sweet couple” of Salemtowne because they always held hands. Watch this small video of Ed singing “Let me call you sweetheart” to Jean, from 2014.